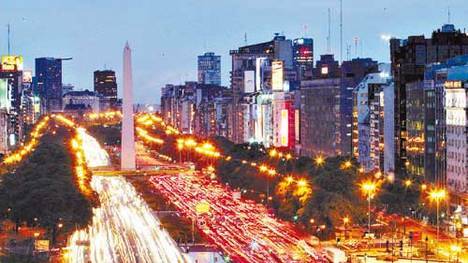 As the cultural and economic centre of Argentina, Buenos Aires shows signs of its colonial past in its blend of European architecture and culture with its own South American character. It is not just politics and finance that centres itself in the capital though football was not only born here but remains today the soul of the city. More than half of the teams in the primera division are found in greater Buenos Aires and it is impossible to ignore its importance from the graffiti adorning city walls, the clothing worn by its residents with pride and the conversation that fills its many cafes and restaurants. In more recent history much has been written about the fierce rivalry between Argentina and England but there is a far greater link between the two nations, namely the influence of English football on Argentina and the birth of Argentinian football as we know it. 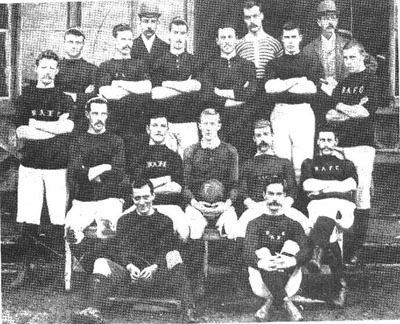 In 1867 two English immigrants created the first football team, Buenos Aires Football Club and on June 20th of that year the first recorded match took place between two teams of British merchants on the site that is now occupied by the Planetarium in Palermo, Buenos Aires. In 1891 the Assocation Argentine Football League was created and although initially this comprised of only 5 teams it is the oldest league outside the British Isles. Club de Gimnasia y Esgrima La Plata which was founded in 1887 is the oldest surviving football club in the continent. Most of these teams were made up of British players from Anglo-Argentine schools, dockworkers or railway company employees. Some of these teams, like Ferro Carril Oeste, Ferrocarril Midland, Rosario Central and Talleres, still exist today, although not in the top flight. At this stage the game was still amateur and jn 1893 a new league was established, The Argentine Association Football League, what we know today as the AFA. The most successful team in this era was, the now dissolved, Alumni Athletic Club who won 10 championships between 1901 and 1911. This predominantly British league which had actively excluded the local population prompted a split in many teams. One such team was Quilmes Athletic Club, and in 1899 this split resulted in the formation of Argentino de Quilmes. This name of Argentino or Argentinos has remained popular today in Argentine football with perhaps the most famous example being Argentinos Juniors. During these years the number of new clubs increased dramatically and so by 1907 there were over 300 teams in Argentina. Football had exploded throughout Argentina and this led to one of the most important changes to Argentine football – Professionalism. The British sides success had waned and now the Argentine clubs were dominating the championship. The seasons in 1929 and 1930 were disrupted severely with cancelled games and mid-season withdrawals of teams. 18 teams decided to form a breakaway league and in 1931 Argentina saw the first professional league. For some years both league ran simultaneously until the amateur league folded in 1934 with many of the teams joining the new professional second division. The major advantage of the game now being professional meant that players did not have to leave to play in Europe so readily. At this stage the Argentine league began to take a more familiar look with the likes of River Plate, Boca, Independiente, Racing and San Lorenzo dominating. 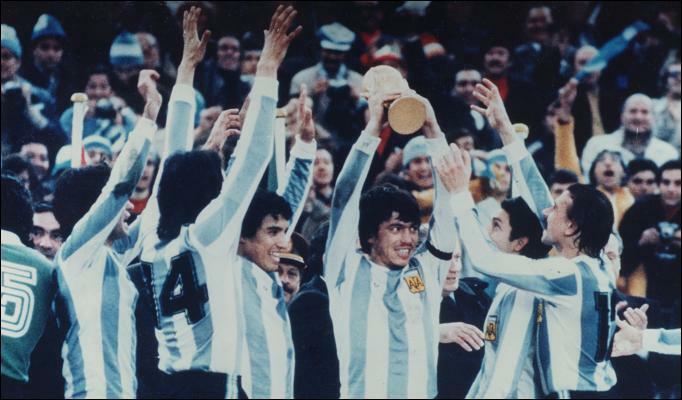 In this period Argentina also hosted and won their first World Cup in 1978, captained by River’s Daniel Passarella, finally avenging the defeat in the inaugural final forty-eight years earlier. The league structure changed in 1991 to the system that we still see in operation today. Partly to avoid playing matches during the unbearably hot Argentine summer and also to create a greater sense of drama each year the AFA switched to a season split into 2 short championships: The Apertura (Opening) and the Clausura (Closing). During one championship each team plays each other once and then the return fixture takes place in the clausura. In 2008 the second and third divisions reverted to one single, year-long championship. The idea was that this would cut down dramatic run-ins and therefore lessen tension and the football violence that may follow and has blighted Argentine football in recent years. Reverting the Primera Division to this format is something regularly discussed but for the reasons I mentioned earlier the short season remain popular. The current system also has a greater capacity to produce unexpected champions. Under a European-style league, for example, Boca Juniors would have won a hypothetical 2006-2007 championship, having gathered the most points over the whole season. But they failed to finish top in either Apertura or Clausura, and so instead the trophy went to two less predictable sides: Estudiantes de La Plata (Apertura) and San Lorenzo de Almagro (Clausura). Below the top two divisions, Argentina’s league system is split into parallel ladders. The Primeras B, C and D are the standard lower tiers, but running alongside them are Torneo Argentino A, B and the Torneo del Interior. Torneo Argentino A is parallel to Primera B, and each season one club from each goes goes straight up to the B Nacional (second division) from each of these two third divisions. A further side from each plays off for promotion. Relegation is even more complicated as it is worked out over an average number of points that each team has won per game over their last 3 full seasons. This is shown on a separate table , known as the Promedio (as shown in the TABLES link). If it is the first season in the current division then points from the previous spell are carried over, but only within the last three years. If the period of time is longer than this then the team starts with zero. This may be easier to understand by looking at the tables and over the season seeing any changes. In theory, this system means that no games are meaningless ‘dead rubbers’ as there are points to play for even if the championship is decided. More cynically it may be in place to protect the bigger teams from dropping out of the top flight. Not quite such a brief history after all but I hope it provides some insight. Feel free to comment or send me a message if you have any further questions. ← Welcome to Golazo Argentino!